As a Client Services Coordinator for Colliers International | Pittsburgh, I am responsible for the design and development of property specific marketing materials such as brochures, electronic outreach, pitch presentations, overview books and retail aerial maps. I also provide direct support to both the Colliers | Pittsburgh Office and Retail Teams and their clients by providing all necessary client services, including the development, maintenance and distribution of tour reports, stacking plans and lease proposals. I began working in the Marketing Department at Colliers International | Pittsburgh in 2018. Prior to working at Colliers International | Pittsburgh , I worked for another real estate firm in the greater Pittsburgh area. I also worked in the Marketing and Community Outreach Department for a local healthcare organization where I began my marketing career. I have been involved in the commercial real estate industry for more than 30 years, with a focus on office agency and tenant representation. 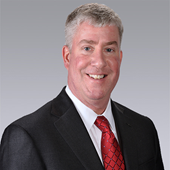 Prior to joining Colliers International | Pittsburgh, I was a Founding Principal at NAI Pittsburgh Commercial, which was the Western Pennsylvania regional representative of NAI Global and I also worked as the director of brokerage and leasing at Grant Street Associates, Inc./Cushman and Wakefield affiliate where I was responsible for commercial office leasing and sales in the Greater Pittsburgh area. At Colliers International I oversee the office agency and tenant representation divisions in the Pittsburgh office. My overall experience in both agency and tenant representation has made it possible for me to consistently be involved in major transactions in the Pittsburgh and Western Pennsylvania area. I have represented clientele such as Westinghouse Electric Company, Commonwealth REIT, Hertz Investment Group, GAI Consultants and Propel Schools. I have over 25 years of professional business experience in and around the Western Pennsylvania area. 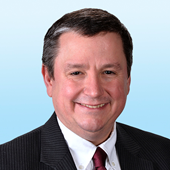 Prior to joining Colliers International | Pittsburgh, I was an associate with NAI Pittsburgh Commercial, which was the Western Pennsylvania regional representative of NAI Global. My responsibilities include lease negotiation, complex financial analysis, leveraging market opportunities, and new business development. With more than a decade of commercial real estate experience, I strive to provide exceptional representation to my clients in support of their business goals and operating strategies, and have been actively involved in transactions comprising in excess of $200,000,000. My strong communication skills, diligence, and strategic approach enable me to consistently achieve the most favorable transaction terms for my clients. I began my commercial real estate career in 1997 after graduating from Gettysburg College with a BA in history. Initially I concentrated on corporate services work for national tenants. Since that time I have worked on behalf of numerous fortune 1000 organizations both on the landlord and tenant side and have closed some of the largest transactions in western Pennsylvania. I began working on retail projects in 2005 with the ground up development of a 30,000 sf retail center. Since that time I have focused on retail assignments, representing landlords and tenants in the development and leasing of retail projects throughout western Pennsylvania, West Virginia and south eastern Ohio. I have worked on a number of ground up retail developments, as well as the leasing of traditional retail strip centers and urban retail projects. I've represented a number of retail tenants in their location searches, including Wahlburgers, Banfield Pet Hospital, Hooters, Dollar General, Quest Diagnostics, Edward Jones, Emiliano's and many others. I have been recognized as a retail power broker in the Western Pennsylvania region by Costar and have been represented on the Pittsburgh Business Times largest transactions list a number of times. 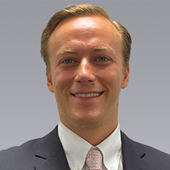 I am an Associate at Colliers International in Pittsburgh, Pennsylvania and I specialize in retail leasing, sales and tenant representation in Western Pennsylvania and surrounding area. I am responsible for providing in-depth, strategic consulting for clients to generate valuable solutions to suit their real estate needs. I am dedicated to building client relationships and providing the highest quality of service to maximize value and client satisfaction. In my previous position I had experiences in the construction industry and as a member of the Building Operating Engineers Union (IUOE Local 95).